Bright spots in criminal justice data from Connecticut to Colorado – Open Data Aha! Sunlight’s criminal justice project is in the process of creating a catalog of criminal justice data nationwide. So far, we have collected metadata on what datasets, publications and reports are available from all corners of the criminal justice system in over 38 states and the District of Columbia!Through this work, we have discovered gaps in what data the criminal justice system makes available and have celebrated triumphs of data release. In this blog post, we would like to give you an update on some of the great data resources we have come across throughout our research. As a result of state legislation mandating the collection of traffic stop data — and later, a study of racial profiling in policing — the Connecticut Data Collaborative (Collaborative) created the Connecticut Racial Profiling Prohibition Project Data Portal to make data publicly available. The Collaborative was established in 2009 with a focus on early childhood education policy. In researching these issues, the Collaborative became frustrated with the lack of open data available to the public and began working to make such information more accessible. That experience is especially relevant to the world of criminal justice data, where even bulk data downloads, while ideal, are limited in their utility to more tech-savvy users. 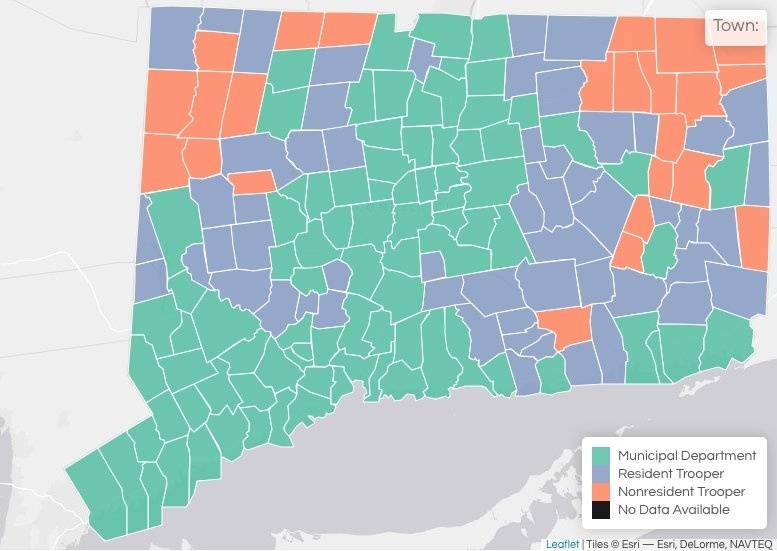 The public-private partnership between the Collaborative and the legislature has been an important step in increasing awareness in Connecticut of the issue of racial profiling by police in traffic stops, simply because the data is now open. Explore Sunlight’s new criminal justice inventory, with data collected for 38 states, the District of Columbia and the federal government. It has also given officers and police departments more standardized data to rely on for performance measures. As a result, traffic stop data is available internally as part of the state’s criminal justice information sharing efforts. 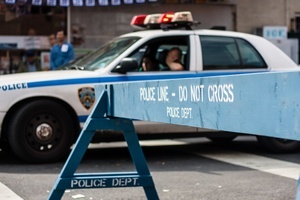 Despite the legislation mandating the collection of data digitally, each police department runs off of a different records management system (RMS) requiring standardization of the data before analysis. The Collaborative’s third-party standardization and cleaning has even uncovered data duplication issues with a particular RMS, leading to the correction of a problem that may not have been discovered without this partnership. The data available from the portal represents all traffic stops in Connecticut over the course of a year. Due to the data being sourced from over 100 local police departments it must be standardized, cleaned and analyzed by the Collaborative before being published. The Collaborative plans to implement quarterly releases of this data in the near future. In addition to allowing for bulk download of the data, the portal has visualization features and posts the project’s data analysis reports. The Collaborative is also working to improve the quality of data collected by officers during stops, like including the length of officer-citizen interactions. Although the circumstances surrounding Kalief Browder’s untimely death last month reignited the debate over the use of solitary confinement in prisons, readily available data on its prevalence nationally remains sparse. Colorado, a state with its own unfortunate history in regards to solitary, is a rare exception. The Colorado Department of Corrections is mandated by legislation to collect and share statistics on the use of solitary confinement in its facilities. That information is made publicly available online in the form of an annual report. While Colorado’s Department of Corrections continues to pursue solitary confinement reforms, it is held accountable by making its path towards progress apparent in the reports it regularly issues on the topic. Since the legislation mandating the reports was signed by the governor in June 2011, the number of inmates in administrative segregation has dropped from a peak of 1,505 in September 2011 to 215 in June of 2014. Over the course of our research, we have become familiar with what kind of data to expect to be made publicly available by local law enforcement. For larger, open data minded cities, we often encounter data portals where users can view crime counts, rates or trends. For most local police departments, we uncover a few annual reports or basic crime statistics in PDF format hidden in the depths of the department’s website. Virginia Beach, however, exceeded our expectations. The Virginia Beach Police Department has a system called Electronic Police Reports Online (ePRO) that allows the user to view and download neighborhood crime reports, traffic accident reports, active warrant reports and, surprisingly, incident reports. Simply put, Virginia Beach is doing something very rare by posting actual incident reports online. A single incident report in PDF format that includes detailed information about the incident like crime type, weapon used, modus operandi, victims, officer, case status and property details. A set of incidents’ case numbers in TXT format including case numbers, dates and locations for a provided date/location search criteria. Most importantly, this data is updated every four hours and is free to all users! We hope to find more portals like ePRO throughout our research of local police departments. If you know of a portal that we have have missed, be sure to let us know! © 2019 Open Data Aha!